In 2011, Joel Spolsky launched his company Fog Creek’s new product at TechCrunch Disrupt called Trello. It looked a lot like a whiteboard with sticky notes translated into a web browser and an iPhone App. In 2011, Joel Spolsky launched his company Fog Creek’s new product at TechCrunch Disrupt called Trello. It looked a lot like a whiteboard with sticky notes translated into a web browser and an iPhone App. Instead of physically moving a sticky note on a whiteboard, you could drag and drop cards on a board from your web browser. Within days, Trello succeeded in getting 131,000 eyeballs. 22% of them signed up. The vision for Trello was to create a wide product that was so simple and useful, just about anyone could use it. It caught on like wildfire. It’s also why Trello ultimately had to sell to Atlassian for $425 million when it could have become the next $1 billion SaaS application. Trello was successful building this horizontal product, achieving rapid growth to tens of millions of users and an acquisition of hundreds of millions of dollars. However, the one thing Trello didn’t do a good job of was keeping track of it’s paying customers. Trello was so focused on building its free customer base first and monetizing later; by the time it looked to its paid subscribers, it was too late—they’d already moved on. 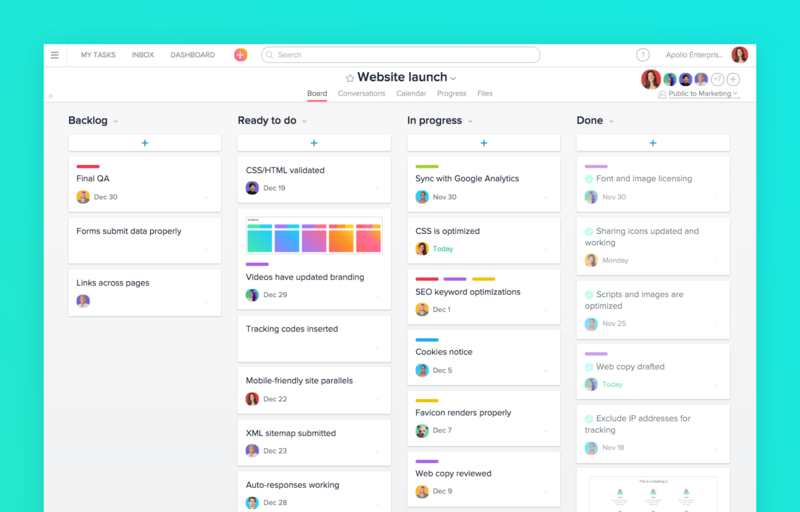 While that makes Trello a perfect complement to Atlassian’s suite of enterprise productivity tools, it hampered the company from growing further on its own. Let’s talk about the opportunity that Trello missed, and what it could have done instead. Trello is organized around a “kanban board” concept. Kanban was a system for lean manufacturing that Toyota popularized in the 1940s. The basic idea was that each “card” represented a product, part, or inventory. When a card moved around a board, it meant that something had been physically moved from a supplier to a factory. When Trello first started out, it was really technically challenging to create a board in a web browser where you could collaboratively drag and drop cards into lists. A lot of other SaaS tools at the time were big databases with a visual interface built on top (think: Salesforce). This basically created an architecture where you structured data in terms of leads, customers, or tasks. Trello came at this from the opposite direction. The product vision was to strip everything down and build around the visual idea of cards on boards. To get this to work, Trello implemented a bleeding-edge stack. The single page web app basically worked as a shell that pulled all of the data from the servers in less than half a second, at under 250 kilobytes. After a user visited for the first time, they then cached the page so Trello would load even faster. 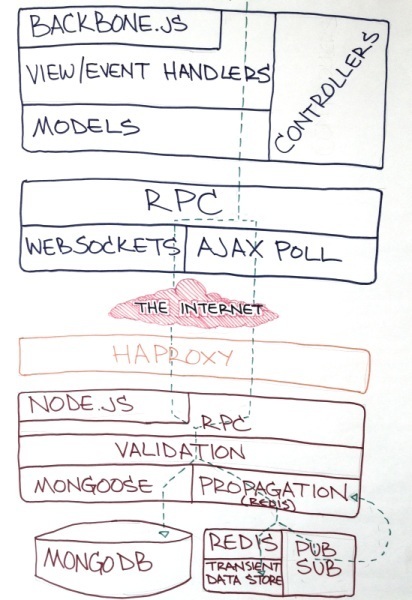 They built their servers on top of Node and used MongoDB to store data so that the web app would load really fast. Everytime a user dragged a card to a new list, or changed the entry on a board, Trello pushed this data to every other browser with the board open almost instantly. The result was breathtakingly simple. You made a change to a board by dragging and dropping a card, and that change was reflected everywhere else in the world. Trello might have become a $1B+ business if it looked like a “system of record” application—the single-source of truth for a company. Imagine if you could use Trello not just to track your marketing funnel, but to move information from your marketing board to your sales pipeline and product roadmap. Instead of having a separate Trello board for each team, you’d have a big board for the entire company. Trello never became this “system of record.” It was an strong visual metaphor that the competition ultimately copied. 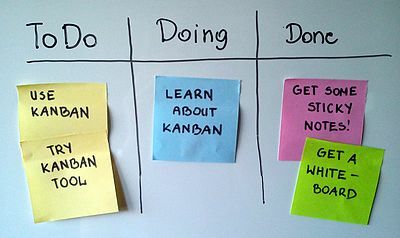 Ultimately, the Kanban board was a really cool UX feature, but not a difficult one to replicate. Trello could have doubled down on upselling individual consumers to paid plans. They could have focused on building features for SMB customers. Or they could have expanded into the enterprise faster. Any one of these things would have led to a $1B+ valuation. Let’s talk about what Trello could have done with each path, starting with its consumer plan. Chart of Trello’s user growth based on publicly available data. It’s possible to build a $1B+ company with a freemium business model targeted toward consumers. In 2013, Dropbox was valued at $8B on $200M in revenue with 200M users six years after launch. This was before Dropbox had even launched a business plan—the company’s revenue primarily came from upselling free users to a $10/month plan. Three years after launch, Trello’s growth in users looked on track to explode past Dropbox’s levels, at 10 million in 2015 (Dropbox had four million three years after launch). But Trello had a much harder time upselling free customers to its paid “Trello Gold” plan. While everyone likes emojis, it’s not a good enough reason to spend money on software. Dropbox’s free plan gives away 2 GB of space. Its paid plan delivers 1TB of space—50x what users get for free. Trello’s value proposition is harder to locate than Dropbox, which is exactly why Trello should have figured out early what features individual consumers were willing to pay for. Instead, Trello focused on building a freemium, horizontal product that everyone could use, and chose to figure out monetization later. Instead of focusing on building a wide product for everyone, Trello should have dug deeper into its use cases in the beginning to figure out why people were signing up, what they were using the product for, and what people found so valuable that they’d be willing to pay to use Trello. Is there a competitor that’s able to do this—or is already doing it today? What’s the revenue potential for people using this use case? By doing research around your customer base and your competitor’s customers, you can segment out the use cases with the highest lifetime value.